The front fog lamp can be aimed as the same manner of the head lamps aiming. With the front fog lamps and battery normal condition, aim the front fog lamps. 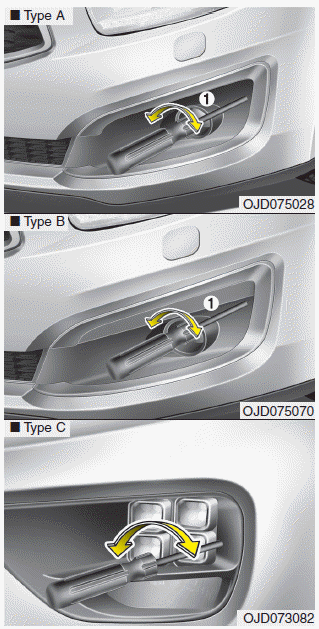 To aim the front fog lamp up or down, turn the driver (1) clockwise or counterclockwise.